Step 1 opens up the pores to make blackheads accessible. 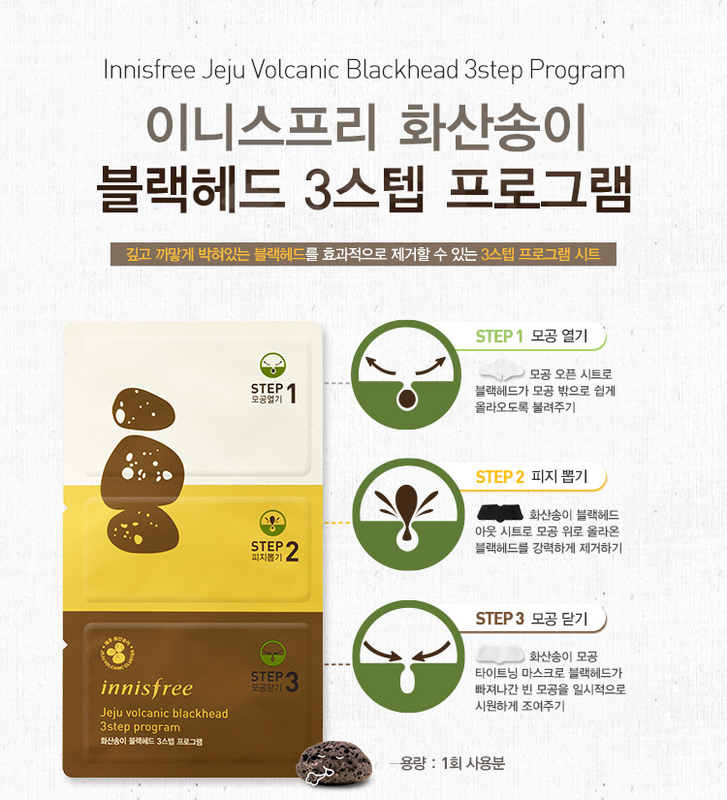 Step 2 uses intensive treatment to remove blackheads. Step 3 tightens the pores in the area being treated. Wash your face, open the Step1 package, and tightly cover your nose with the pore opening sheet. Wait 15-20 minutes and then slowly remove the sheet and gently wash off any visible sebum. Wet your nose with water. Make sure your hands are dry and open the Step 2 package. Remove the clear film and tightly cover your nose with the pore removing sheet. Wait 15-20 minutes until the sheet is completely dry and then slowly remove the sheet. Open the Step 3 package. Remove the film from both sides and place the pore tightening sheet on your nose after step 2. After 15-20 minutes, remove the sheet and lightly pat the area to ensure the remaining essence absorbs into the skin.